In a bowl, sift the flour with the xanthan gum, then add all the other dry ingredients leaving out the dried yeast until later. In a separate bowl place all the wet ingredients and lightly beat. Now add the dried yeast to the rest of the dry ingredients. Place the liquid mixture into the bread machine pan. Carefully add the dry ingredients by spooning on the top of the wet ingredients (I find that I have to give my machine a 'helping hand' so at this stage I now use a wooden spoon to thoroughly mix the ingredients together, whilst in the pan, before setting it going). Bake on the "gluten-free" setting if your machine has one, otherwise choose 'Rapid' or 'Fast' bake setting (gluten-free bread dough does not respond as well to the longer proving times). 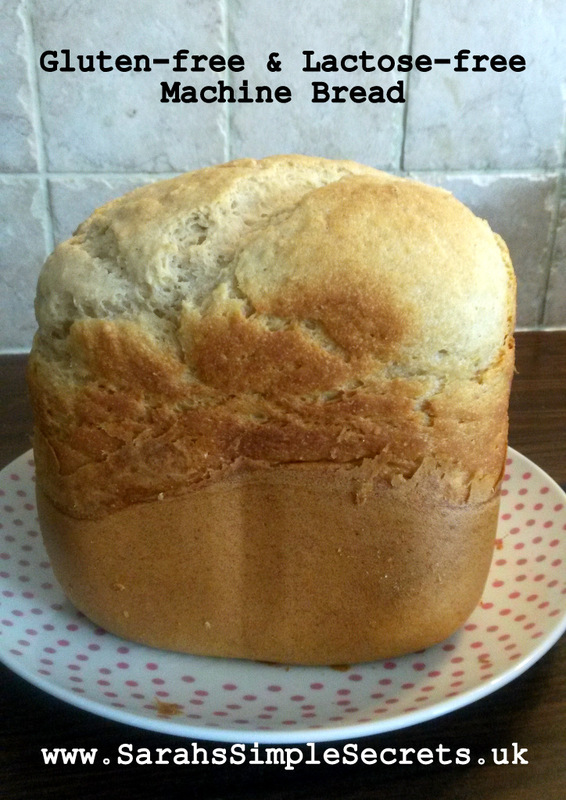 When the cycle has finished allow the bread to stand in the pan for 10 minutes, then turn out and allow to cool.